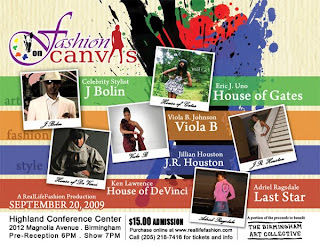 RealLifeFashion is hosting their fashion and body art show this Sunday, September 20 at the Highland Conference Center and should be a HOT one as usual. I always look forward to deejaying this event where I can dust off the house crates and get loose for the evening (I’ll be dropping a pre-show mix this week). More info and details here at Reallifefashion.com or Urbanham.com. Legendary flautist Bobbi Humphrey is making a stop in Birmingham as she headlines this year’s Taste of 4th Ave. Jazz Festival, Saturday, September 26th. The first female signed to Blue Note under the wings of super producers The Mizell Brothers (amongst others), the “First Lady Of Flute” has been a favorite of the jazz and hip hop generations for over 35+ years. More show details coming soon. 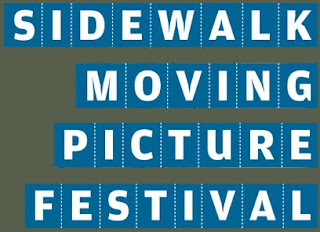 The Sidewalk Moving Picture Festival is next week as well (September 25-27), so get ready for over 177 films, shorts, documentaries, and animations at 9 different venues in the downtown area. A documentary that has been getting some buzz is Say My Name, which depicts “the struggles, conflicts and triumphs of female MC’s, R&B singers, rappers and hip-hop artists” from the communities of London, New York City, Chicago, Philadelphia, Detroit, Los Angeles and Atlanta. Featuring Erykah Badu, MC Lyte, and Jean Grae amongst many others. View the Say My Name trailer here.